Allis chalmers operator manual for b tractorB model engine(s). 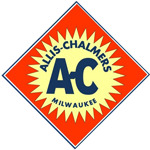 AN OPERATORS MANUAL FOR THE ALLIS CHALMERS B TRACTOR, SOMETIMES REFERRED TO AS THE OWNERS MANUAL THIS MANUAL GIVES THE OWNER-OPERATOR INSTRUCTIONS, SHIFT PATTERNS, CAPACITIES (ANTI-FREEZE, CRANKCASE, ETC.) AND ADJUSTMENT PROCEDURES (BRAKES, CLUTCH, ETC) THIS IS A VERY USEFUL AND VAULABLE TOOL IN OPERATING YOUR TRACTOR.